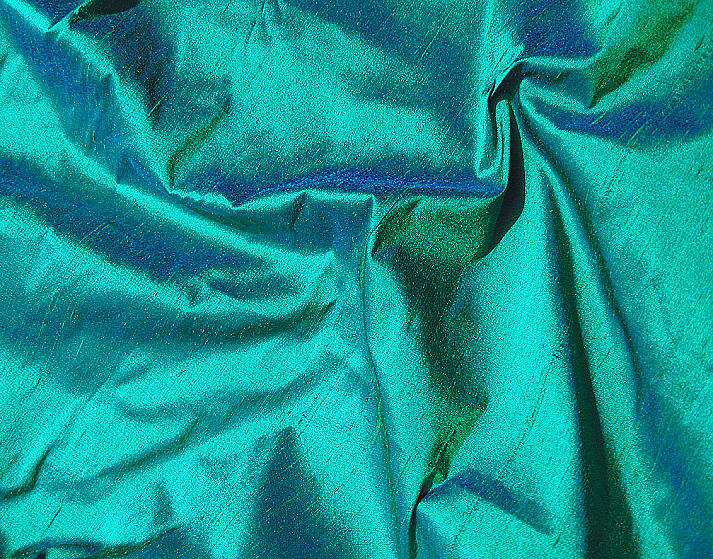 Cross threads of emerald green and royal blue give this iridescent dupioni silk fabric that has minimal slubbing and a smoother surface an overall appearance of a jewel tone emerald kelly green. 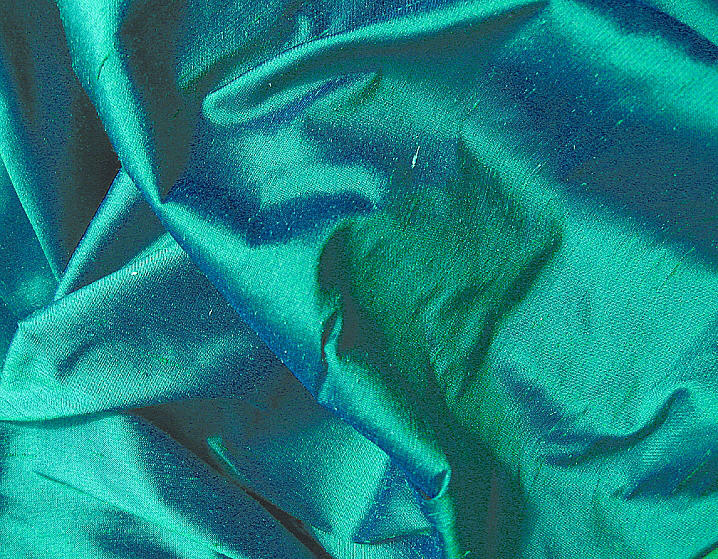 Because this silk fabric has a very high sheen, the color is easily distorted by light, and it appears lighter than it really is. 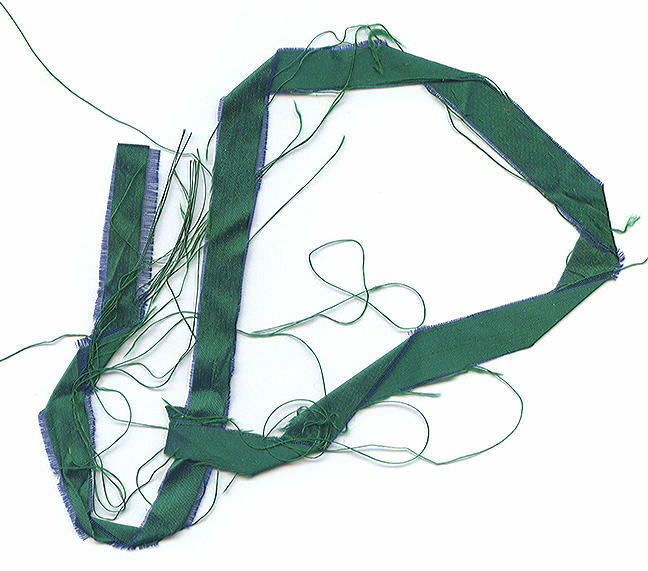 The last image is a scan of the fabric to try to give you a better idea of the shade and value of the green. The deep royal or cobalt blue warp gives the silk outstanding depth and contrasts. The emerald green color swings between a cool or blue based green and a warmer kelly green depending on the light exposure. 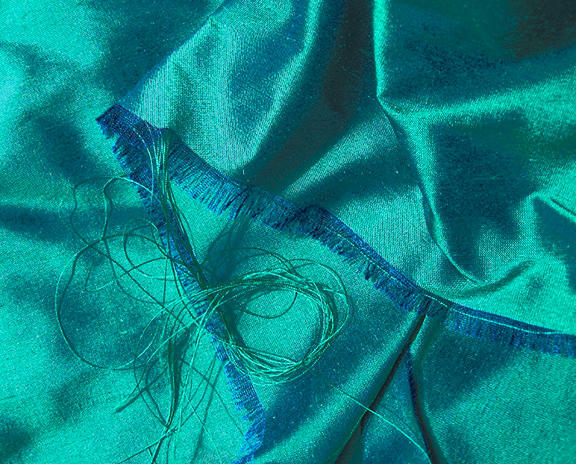 The piece is 21.5" wide x 12" long, and I photographed the silk in bright natural light without flash.